Hi! I am Teddy Angelova and my mission in life is to teach and lead through experience. All I had to do is become good in a certain area of life and business and then pass my knowledge and experience to others. My career as a sales person and manager is more of a trivial one – gradually and consistently climbing corporate ladders, winning awards, taking on more responsibilities, handling tough situations, making difficult decisions, managing people and teams.. you have seen the story. I have been a business trainer since 1993 and in 2001 made it my professional focus. I established my first training company in 2005 and after it’s successful establishment in the consulting business it grew to Target HD in 2008 – a trusted partner of internationally acknowledged sales and leadership consulting companies. 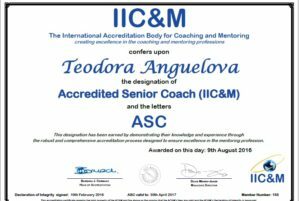 Being trained as a coach in 2002 I have implemented those skills in numerous projects and now my focus is mostly on coaching and keeping up with the top professional standards for coaching and mentoring. I volunteer in projects that are close to my heart. 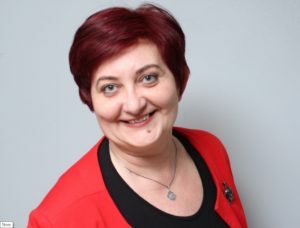 I am an Ambassador of IAPCM – International Authority for Professional Coaching and Mentoring, a UK based accreditation body, standing up for the best standards in those two professions. Our work is focused on ensuring that clients have tangible and proven decision-making tools when choosing a professional coach or a mentor and are protected from bad investment. I am an Accredited Senior Coach myself. I provide free services to NGOs, engaged with abandoned children, their protection and well fare. My interest in teaching and learning spread to people of all ages – working with adults and young children through Suggestopedia and Montessori methods. Meeting students in teaching sessions, Q&A or workshops I do pro bono for all kinds of schools, helping students relate their learning to real-life situations. Honesty and openness are the key to good partnership. 2 is always better than 1, 5 is better than 2. Everyone is rich with the wisdom of their own experience. Everyone can grow through learning from the experience of others. If you have the will, you’ll find a way. One can learn only when they open themselves to learning. Change is the most constant thing in life. We are all work in progress for a lifetime. Stepping into the unknown holds the risk of making you a discoverer. My mission is to shed light on the paths I have discovered. I will go on creating new paths and communities of discoverers. As this website grows every day, soon you will meet the team of amazing professionals that I have the good fortune of teaming up with. You can contact me by email: angelova@target-bg.com or through the Contact form in the main menu. You can check out my professional resume HERE. Thank you for stopping by and hope to meet you soon!